Will take up to a 15hp outboard, internally mounted. These delightful, locally built, Huron design canoes are made from stripped pine planking, with chopped strand mat inside and out. Together with built in buoyancy tanks, they should be very stable craft. They can take up to a 15HP outboard and could easily be fitted with a variety of camper awnings/ canvas tent covers, to make a great touring boat. There are currently two of these available, with slightly modified underwater profiles as well as the original 15ft prototype. You need to see them to really appreciate the workmanship! 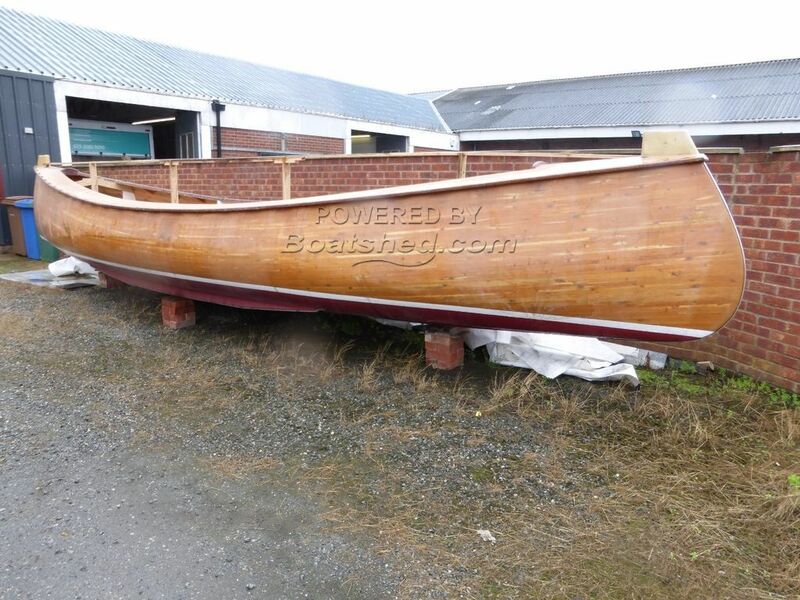 This Canoe Huron Design has been personally photographed and viewed by Paul Watson of Boatshed Yorkshire. Click here for contact details. Please note this comments section is public. Please do not post your personal details here. To enquire about purchasing this boat, please contact the broker directly at paul@boatshedyorkshire.com. Please read our commenting guidelines before posting.